MOSCOW — After 55 years of preparation, a landmark effort to promote unity among the world’s 300 million Orthodox Christians turned into a showcase of disarray on Tuesday after the Russian church, the biggest of 14 Orthodox jurisdictions, announced that it would not take part in a historic conclave of church leaders scheduled to start this weekend. The gathering, known both as the Holy and Great Council and as the Pan-Orthodox Council, is scheduled to begin Sunday on the Greek island of Crete and to run through June 26. It had been under discussion since 1961 and has been billed as the first council of its kind since the eighth century. While it did not rule out participating in a future gathering, the Moscow Patriarchate, the leadership of the Russian Orthodox Church, said late Monday that it was “impossible to participate” in the council because not all Orthodox churches would be present. At least four branches of the Orthodox faith, mostly with historically close ties to Russia, like the Serbian Orthodox Church, had complained about aspects of the Crete council and indicated that they might stay away. 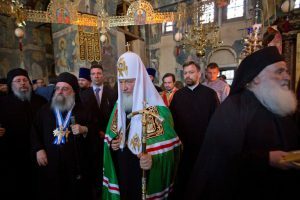 The Russian decision threw into doubt the opening of the gathering and highlighted longstanding doctrinal disagreements among Orthodox Christians as well as a struggle over the direction of the church between the Moscow Patriarchate and a rival leadership based in Istanbul, the seat of the Ecumenical Patriarch of Constantinople. Ecumenical Patriarch Bartholomew I in Istanbul, as Constantinople is now called, has been the driving force behind the Crete gathering, which some priests in Russia view as an attempt to diminish or usurp their authority while elevating the standing of their rival. Unlike the Roman Catholic Church, which has a single, undisputed leader in the pope, the Orthodox or Eastern branch of Christianity is divided into self-governing provinces, each with its own leadership. As heir to the traditions of the original Orthodox, or Byzantine, church, based in Constantinople before the 15th-century Muslim conquest of the city, the Istanbul-based patriarch has traditionally been viewed as the “first among equals” by the Orthodox faithful, a role that has long nettled Russian church leaders. The Russian Orthodox Church, which also controls affiliated branches of Orthodoxy in much of the former Soviet Union, has many more followers than the Istanbul-based hierarchy. Headed by Patriarch Kirill, a close ally of President Vladimir V. Putin, the Russian church has increasingly sought to assert itself as the pre-eminent voice of the Orthodox faith, in tandem with a push by Mr. Putin to assert Russia’s influence as a global power. The Moscow Patriarchate and the Ecumenical Patriarch of Constantinople are embroiled in a long struggle over property, notably in France, where the Russian Orthodox Church has won court orders to gain control of a cathedral in Nice previously controlled by and loyal to the Istanbul archbishop. They have also squabbled over efforts by Orthodox churches in some former Soviet territories to break their links with the Moscow church hierarchy and to establish their own independent Orthodox churches. While delivering a heavy blow to Bartholomew by pulling out of the meeting, the Moscow Patriarchate sought to avoid criticism that it wanted to sabotage the Crete gathering. The Russian news agency Tass quoted Vakhtang Kipshidze, a deputy chairman of the Synodal Department for Relations Between the Church and Society and Mass Media, as saying the Russian church wanted the council to be held at some point and was offering a “soft way out of the crisis” by merely postponing the conference. But decades of planning began to unravel in recent weeks, as Orthodox churches in Bulgaria, Serbia and several other places threatened not to attend. The gathering was originally to be held in Istanbul, but the Russian church, among others, asked that it be moved for security and other reasons. Russia has also complained about representation in Crete, asking that all 700 Orthodox bishops be invited to attend, instead of small delegations from each church, according to Mr. Chapnin. The Russian Orthodox Church has nearly 400 bishops, many more than other Orthodox churches have. 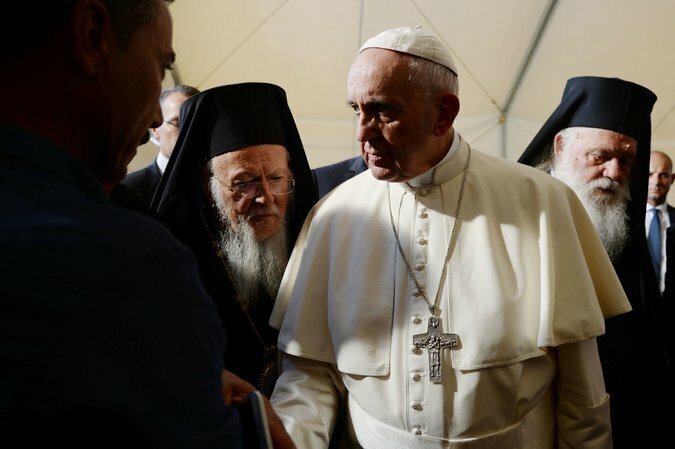 The disagreements include arguments over seating arrangements at the Crete conference, squabbles over the cost of the Holy and Great Council, and substantial discord over how Orthodox churches should interact with Christians in the Catholic and other Christian churches. Mr. Chapnin, the former journal editor, said the Orthodox church, divided into what are essentially national church hierarchies, had always been prone to infighting and power struggles. “For Orthodoxy, this is a very traditional mess,” he said. An earlier version of this article misstated the day the Russian Orthodox Church said it would not take part in a historic conclave and the day that its opening was cast into doubt. The announcement was on Monday, not Tuesday, and the disarray emerged on Tuesday, not Wednesday.